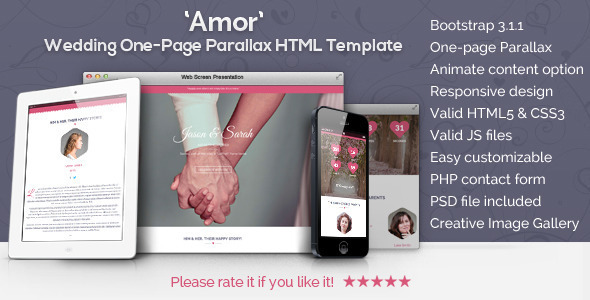 “Amor” is an animate, responsive, one-page parallax HTML & CSS3 Wedding Template. It is based on Twitter Bootstrap v3.1.1. 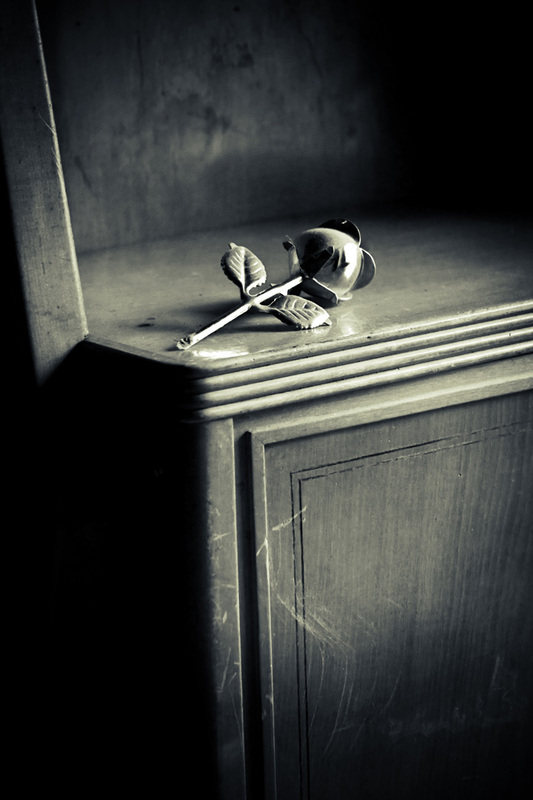 The layout is optimized for mobile devices and it works without errors on all major browsers. The template can be very easily customized as it has all its files very well structured and commented source code. All the colors of the template can be easily found and replaced in style.css (with Ctrl+H in notepad).